Soft cover, 144 pages, 250 Colour Photos. Terry Martin, author of The Creative Woodturner and a woodturning artist, instructor, and photographer for over 30 years, believes there is no creative "right" or "wrong", and the pursuit of originality should be the goal of every woodturner. Best of all, creativity can be learned, and the ability to think and see in one's own artistic style can be achieved. 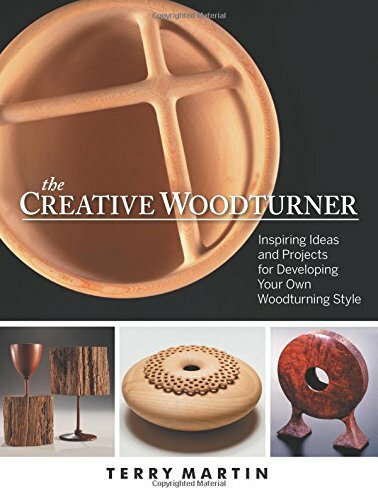 The Creative Woodturner is not your usual "how-to" woodturning book. It won't tell you what a chuck is, how to sharpen a scraper, or how to turn a goblet. Instead, this book is a "how-to" for unlocking curiosity, how to break the rules, and for following one's own artistic path with confidence. This product was added to our catalog on Thursday 08 February 2018.